In a recent planning meeting, my second grade team was contemplating what they should use as a final assessment or product at the end of their Unit of Study about how Earth changes over time. 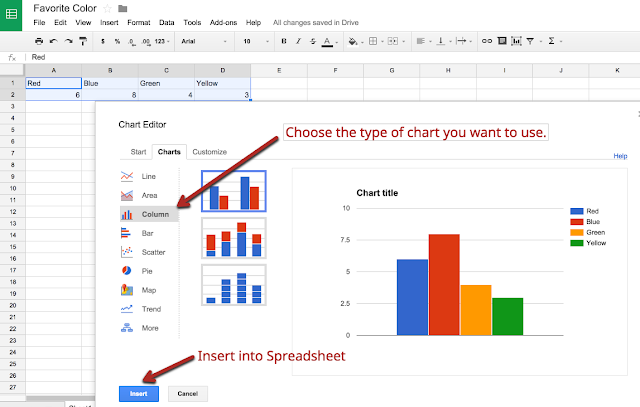 There was some discussion and an ultimate acknowledgment that sure, we could have them make yet another report using Google Slides… but that perhaps it was time to go a little further. I tossed out the idea of reporting the information in the style of a newscast. Often, when I start talking to my teachers about video projects, they get flashbacks of digital video cameras, firewire cords, and splicing together clips in Windows Movie Maker... crossing their fingers and hoping they can get their current draft to save before the computer freezes crashes again. That’s what making a video was like in 2005, and it left such a bad taste in the mouths of most of my teachers that they haven't really gone back. Current technologies have made video projects so much more realistic for the classroom. iPhones, iPads, and other mobile devices simplify the video-creation process. Recording and editing isn't just a task for the teachers, but also something we can hand to students, as well! I acknowledged to them that I wasn’t an expert by any means. I’d made one green screen project before - a quickie silly video at a Cue Rockstar camp using the DoInk app. I wasn’t very good at it that first time, so I prematurely accepted the idea that green screening was something that was for a certain type of nerd, and that I wasn’t that nerd. 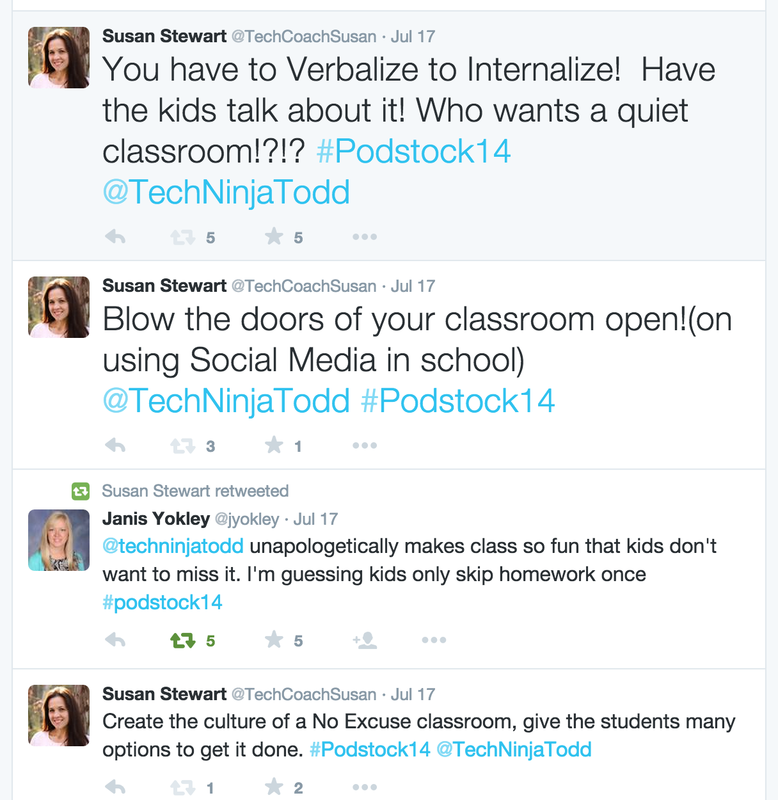 But Ann Kozma, one of my pals from my #tosachat Voxer group, goes on and on about this app! I decided to give it another shot. We had some trial and error in the beginning… but we giggled and learned as we went! It was such a good time! I can’t wait to see what the students will create! 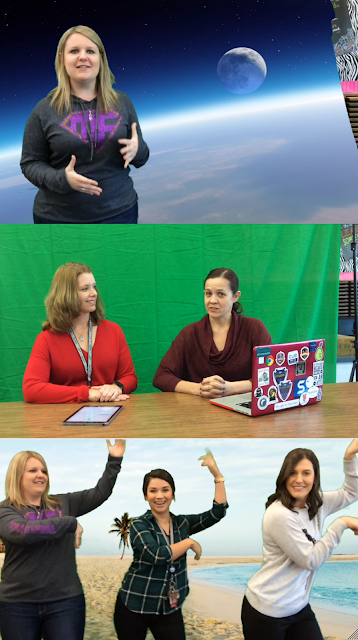 Because the green screen was so much fun, I was inspired to share it again with my next scheduled PD at another site. Today, my 3rd, 4th, and 5th grade teachers also made their own videos, too! We planned student products that will have them reporting on planets, interviewing immigrants, and telling stories about famous women of the American Revolution. These activities will use classroom technology to redesign tasks to make them exciting, meaningful, and relevant! I am so excited to work with passionate educators who are willing to evolve "how it's always been done," because our kids deserve it! So it was last June and I was getting ready for our annual trip to visit family in Wichita, Kansas. No really, we actually do take vacations to Wichita. 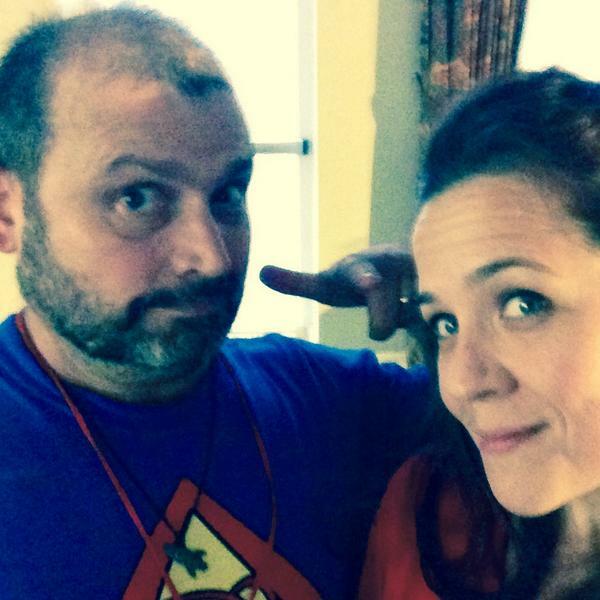 Now little did this then-somewhat-newb to Twitter know that she had just messaged @KevinHoneycutt, who has like 30 million followers on Twitter because he is like 50 gazillion shades of awesome. 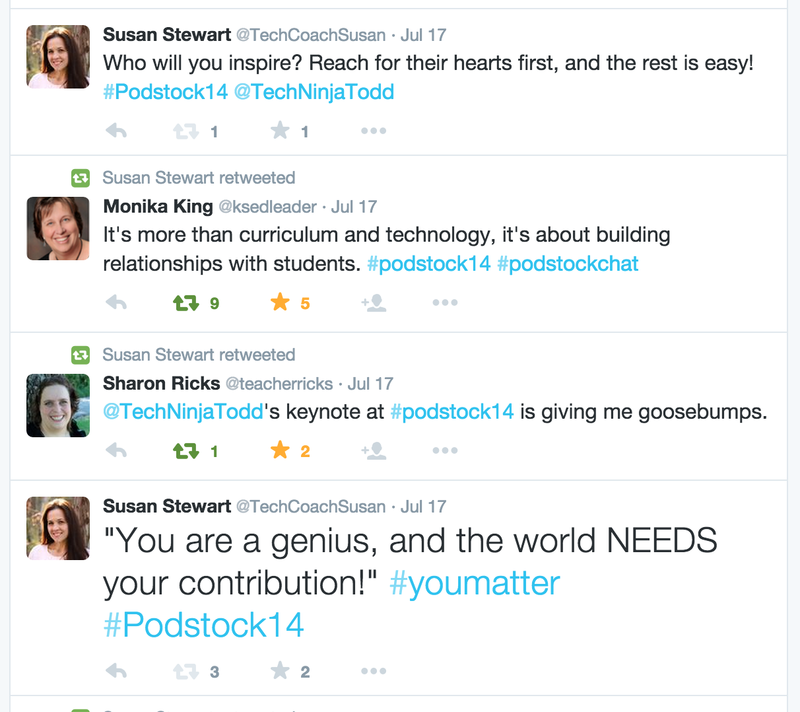 But hey, I made the contacts, had my boss get my registration paid in a hurry, and signed up to attend Podstock. So since I didn't know anyone at the conference, I arrived at the initial Moonlight Madness event alone and sat down at a table and started chatting with a few new people. The energy was crazy! There were costumes and 3D printers are POWER TOOLS as people prepped their entries for the Pinewood Derby! I had spent a little extra time on my hair and was feeling cute, so I pulled out my phone and tried to sneak in a quick selfie. @GingerLewman, one of the event leads who was sitting across the table from me, CAUGHT ME in the selfie act and whipped me out of my chair. She rushed me over to meet the self-proclaimed selfie-king @TechBradWaid. Hilarity ensued as we tried to take selfies of each other taking selfies. That fun evening was just the beginning of a conference full of learning excitement. @TechNinjaTodd gave an inspiring opening keynote. I went to a session on flipped classrooms by @TechNinjaTodd and also a great session on engaging language learners by Victor Villegas. The day of learning was followed by a vendor reception and dance party with music by Kevin's Band Tweetwood Mac. 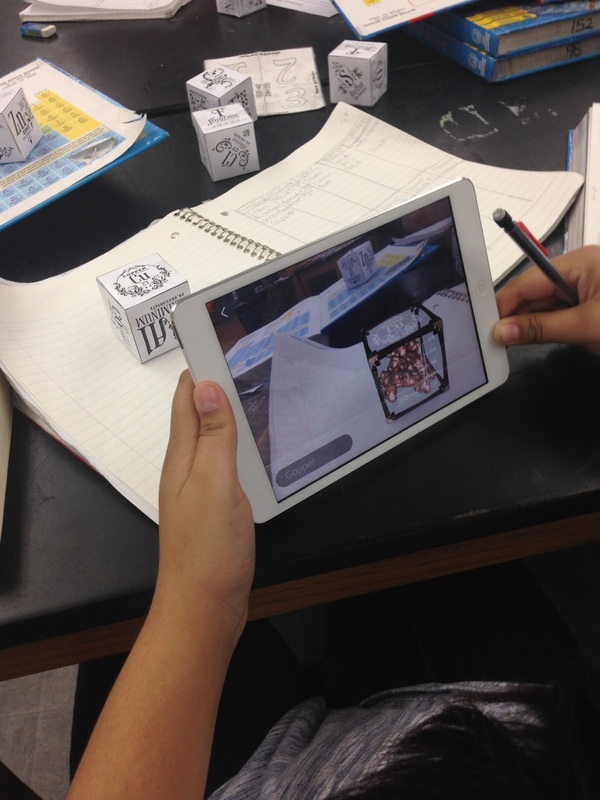 The next day, @TechBradWaid and @TechMinock of the #TwoGuysShow shared about the exciting DAQRIedu Augmented Reality Tools including Elements 4D and Anatomy 4D. Both of these apps have been HUGE hits with everyone with whom I've had the opportunity to share! I've been to lots of tech conferences. 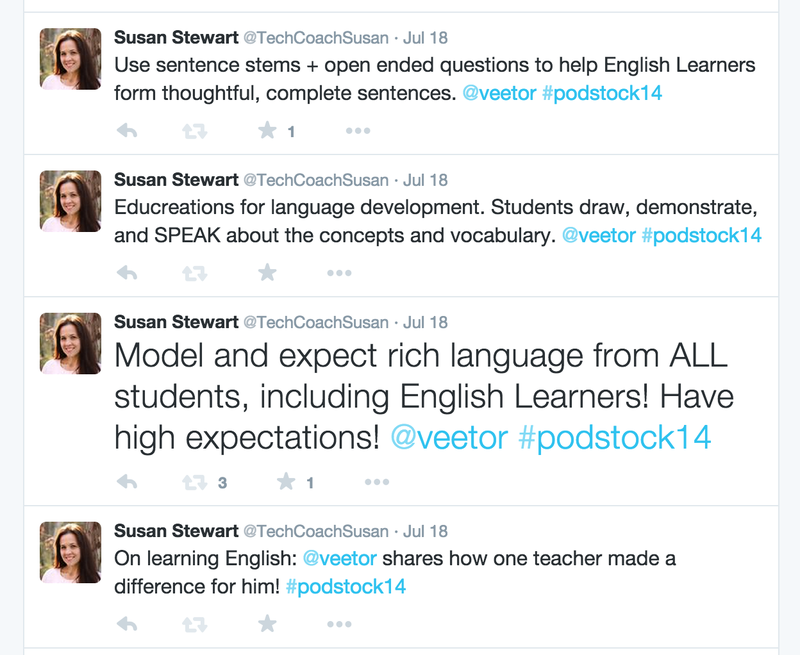 I've attended and delivered professional learning sessions in a wide variety of environments. I've done the massive events with thousands of attendees, and my heart will always be true to the intimate, powerful learning of a CUE Rock Star. But there really was something unique and cozy about Podstock! They call it a family reunion, and it really does feel that way... just a bunch of crazy-passionate educators getting together with the common purpose of improving education. 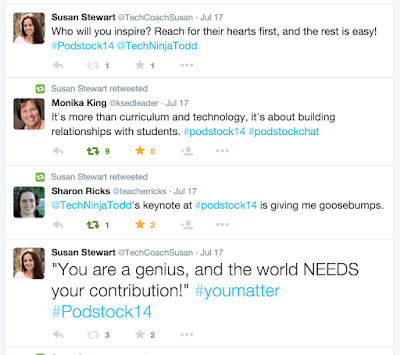 I'm so very excited this year to not only be attending Podstock again (on purpose this time! 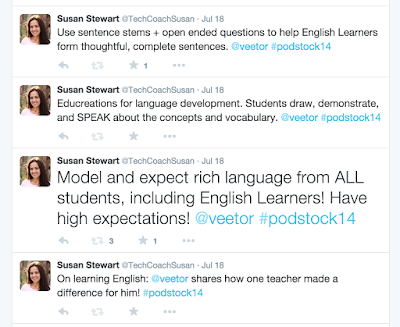 ), but I'm especially thrilled to have the opportunity to share my Primarily Google session with Podstock attendees! I have my STEAMPunk costume all ready to go. Who's ready to learn?!?! Drawing bar graphs is plenty fun, but we decided to kick it up a notch and create some bar graphs in Google Spreadsheets! All students voted by hand and then we worked together to make a bar graph of the results on the Promethean board. 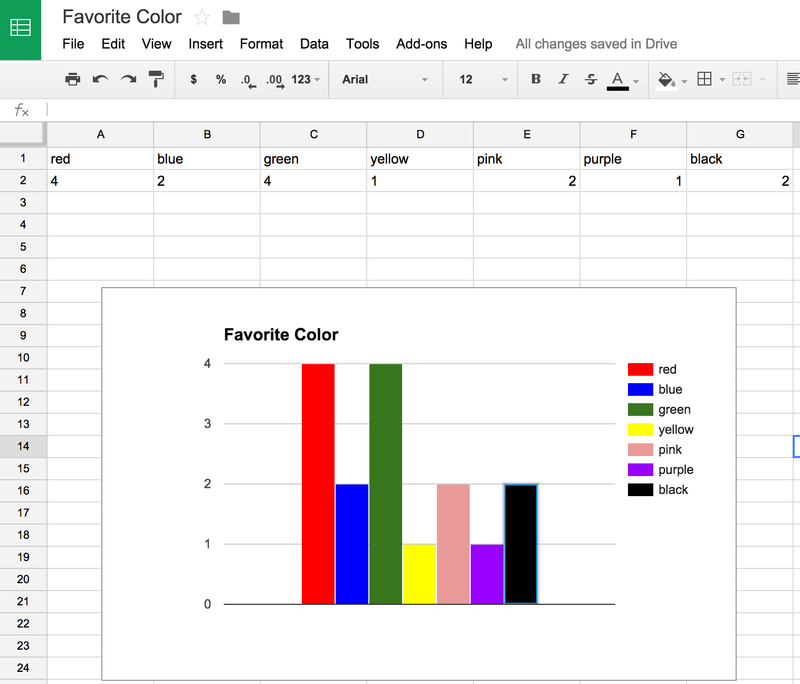 The students then logged into their Chromebooks and used the same data to create a graph on their own spreadsheet. So that was all fun, but now it was time to go even further! 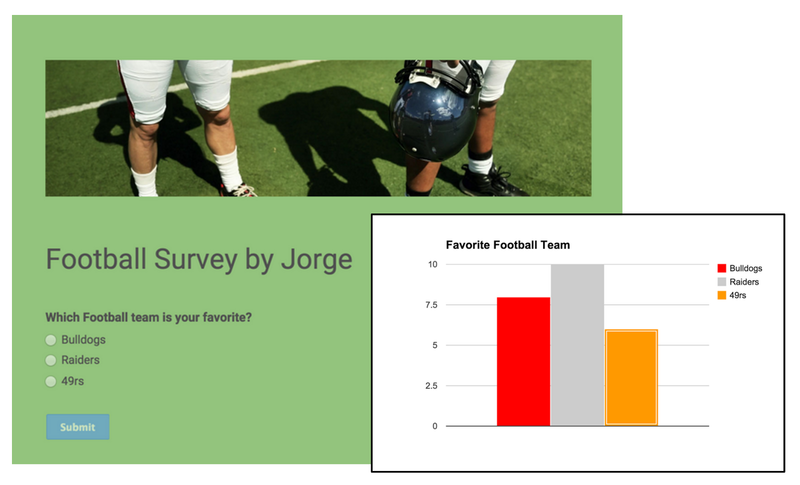 Students each wrote their own survey question and then created a one-question Google Form to collect their data. They pasted their form links into a Google Classroom announcement so all students could fill out each others' forms. After, they used their survey data to create individual bar graphs in Google Spreadsheets. The students learned so much! And guess what? They wanted to repeat this project over and over again. 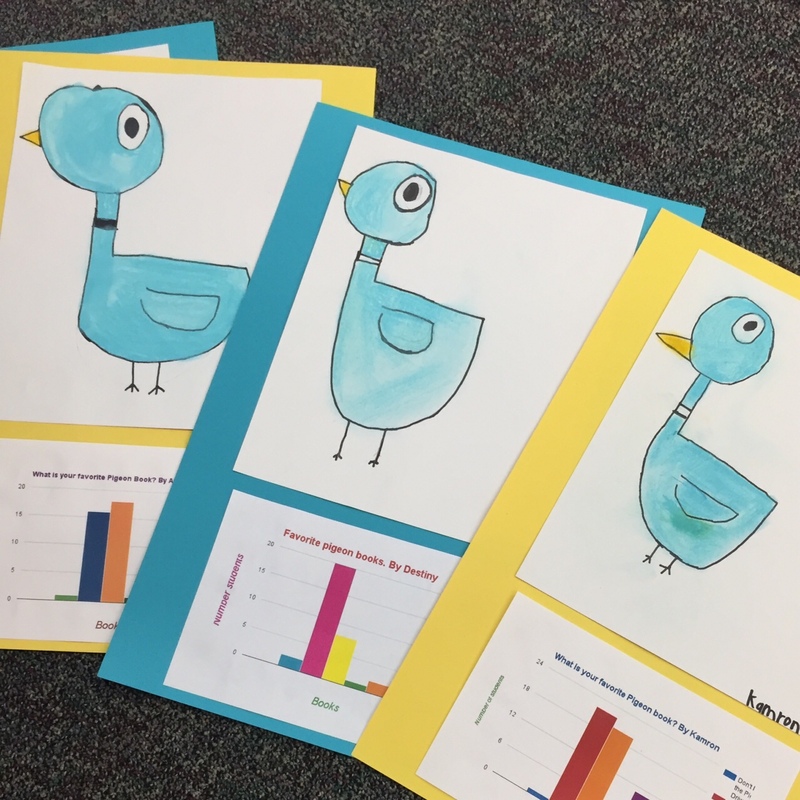 Oh darn, the students want to take surveys and make graphs to represent data. I suppose we can let them! So many people are terrified of spreadsheets, but this project proved that everyone has to start somewhere, and why not in second grade?!?! By giving students a relevant purpose and some basic guidance through the tools, they can accomplish amazing things! Even our youngest students can create using Google! When people ask me what I do for a living, I don't always know what to say. I can give the easy answer: "I'm a teacher." But since stepping out of the classroom almost two years ago, I'm not the same kind of teacher that I was for the 14 years before. I don't have a classroom of students, I don't grade papers, I don't give homework. I can also give the more complicated answer: "I'm an Instructional Technology Coach." And then there are crickets and then the inevitable question, "So uhhh... what's a Technology Coach?" Haha! Not so easy to define! It's a relatively new idea in schools, and different schools and districts have vastly different definitions of the position. My ultimate purpose is to support teachers and students with ways to use technology to enhance teaching and learning. On any given day, I can wear one of a thousand hats. Some days, I deliver formal professional development workshops to large or small groups of teachers. Some days I work in classrooms, modeling or co-teaching lessons that infuse technology into learning. Some days, I make screencasts to share new ideas or walk people through their problems. Some days, I deliver ink for printers. Some days, I take digital pictures with Kindergarteners. Some days, I help Middle School students create websites in order to publish and share their research and learning. Some days I help principals bring their pesky administrative tasks into the current century. Some days, I have coffee dates and lunch dates, just to chat and build relationships with teachers. The more I know about the teachers, the better I can understand where they are at, and therefore, what their needs are. Some days, I go to meetings. I meet with district leadership to discuss where we are and where we need to go. I attend meetings at local county offices to keep informed and updated about funding, resources, and testing. I also meet with other Tech Coaches to network and share ideas and best practices. Some days, I travel. I attend conferences, probably more than the average teacher. In this position, it's important to keep yourself informed and relevant. And for the same purpose, some days I just stay in my office and peruse Twitter. I read articles and blogs and research new web based tools. And I absolutely love that I have administrators who understand and value the power of social media as my own professional development. So what do I do for a living? Day to day, it can be a bit of a challenge to define. But one thing is for certain; each and every day, I strive to improve education. In my role as a district Instructional Technology Coach, earlier this year I started making screencasts to share as a part of my weekly "Tech Tuesday Tech Tips" for our 120ish teachers. I usually send them out via email, just within our district. I'm taking a bold step today though, and publishing this publicly!!! I've always hesitated sharing before; I question if I am thorough enough, if I sound like an airhead, or if what I have to say would be useful outside of my tiny little bubble. Also, there have been times when I've found myself recording and re-recording and re-recording, just being hypercritical of myself. I'm letting all of that go though! So, here it is: I’ve made a short video that reviews the steps of how to create an assignment in Google Classroom. If you haven't tried it yet, Google Classroom is a great way to “package” your electronic resources and share them with your students. 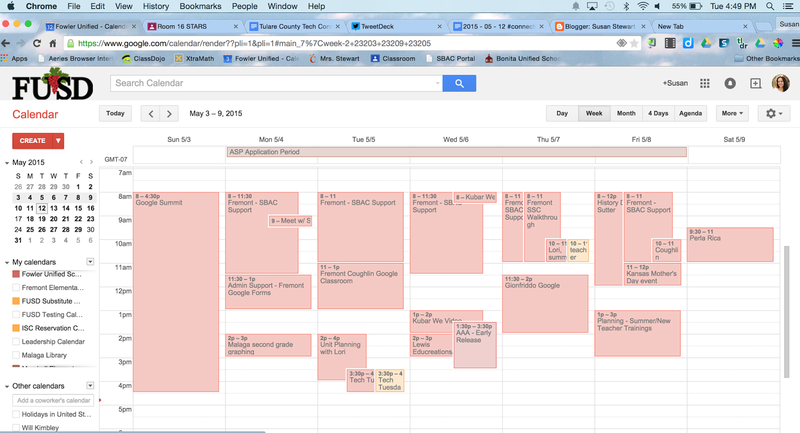 Also, it’s a useful way to organize and collect paperless student work. In my position as a technology coach in a K-12 district, I've been working diligently to spread the word about Google Classroom. 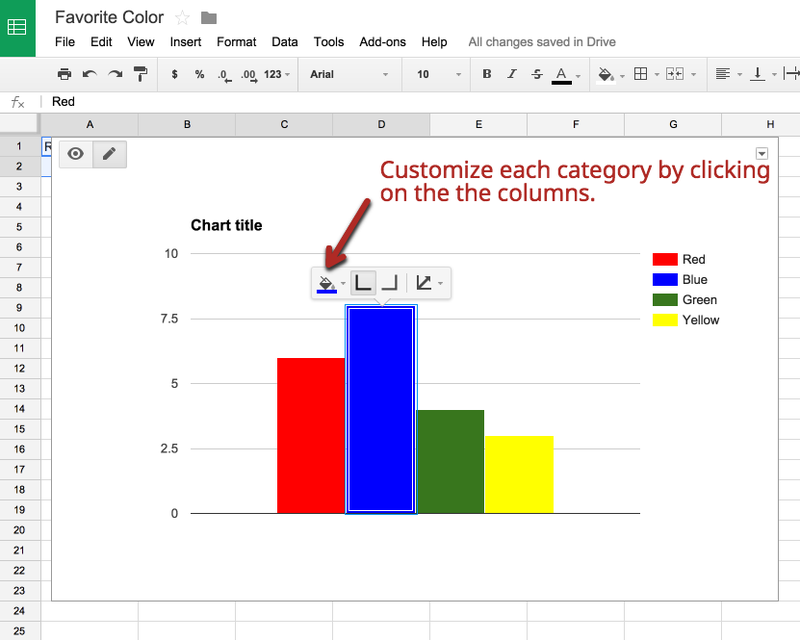 Teachers throughout the district have enthusiastically embraced this valuable new tool! 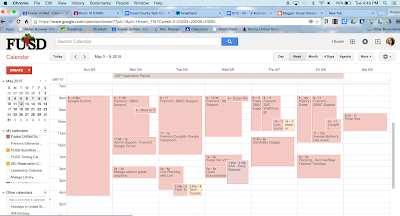 One of my biggest challenges with All-Things-Google has traditionally been getting "buy in" from K-3 teachers. Working with younger students adds the unique challenges of device and classroom management, as well as the additional need to teach and constantly reinforce basic technology skills. Because it's so easy for teachers and students, Google Classroom has become the bridge that gets even the most technologically hesitant of teachers using Google Apps for Education! So, YES! You can use Google Classroom in the primary grades! 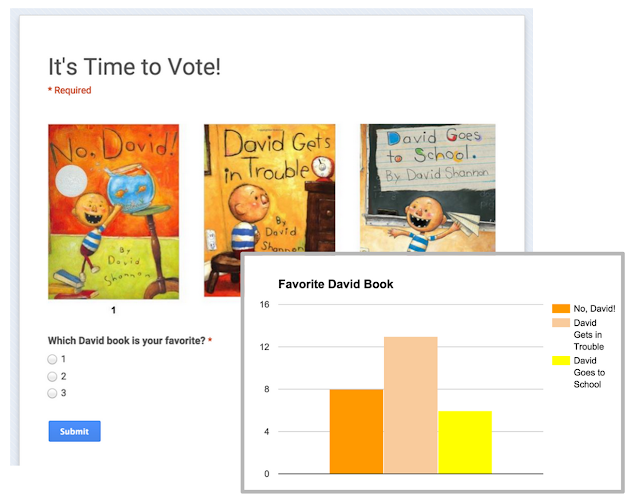 Here are some examples of Google Classroom being used with K-3 students. A good friend has been harassing me to blog... to tell my #EduStory. 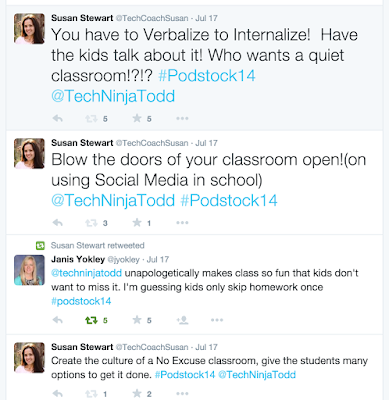 I've been full of excuses as to why I don't blog about my day-to-day adventures as an Instructional Technology Coach. But the truth is, I really don't have any excuses that hold any merit. I think I'm ready though! Here's hoping the new wind of motivation actually sticks this time. But what I never got to was the blogging. I have the privilege of spending my work days sharing fun and innovative educational technology tools in classrooms with the purpose of improving teaching and learning. I do it every day, why can't I get myself to write about it for others to see? I'm making that my professional goal for 2015: BLOG! Share! Tell my #EduStory!